Back to work this week after a few days away. 3 quilts finished so far. 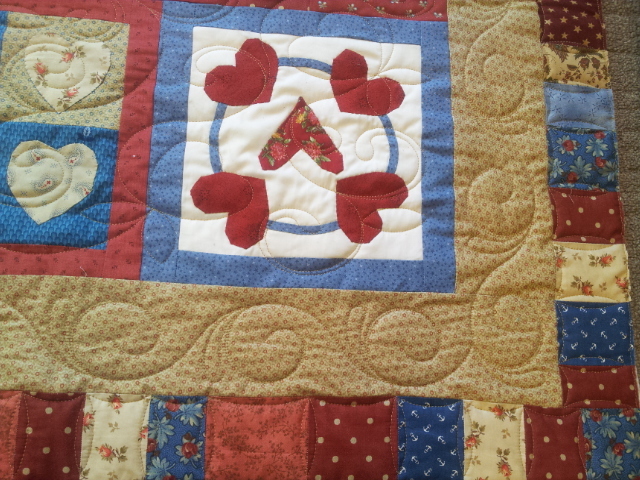 The first one is Sarah's quilt. She made this to go on the bed in their new home when they move. 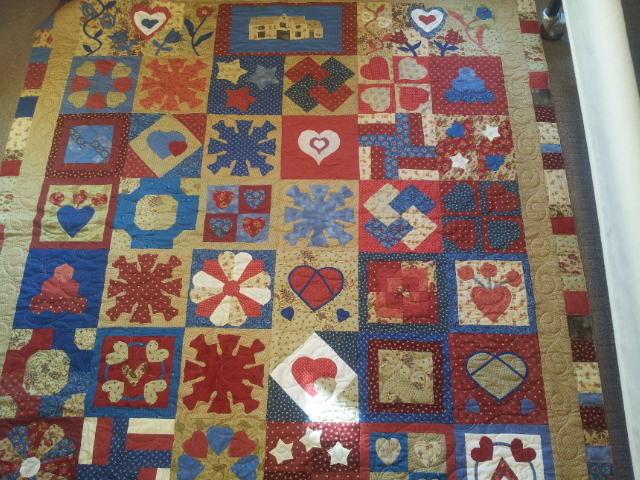 The house block at the top of the quilt is their new house. What a lovely idea to make the quilt so personal to them. 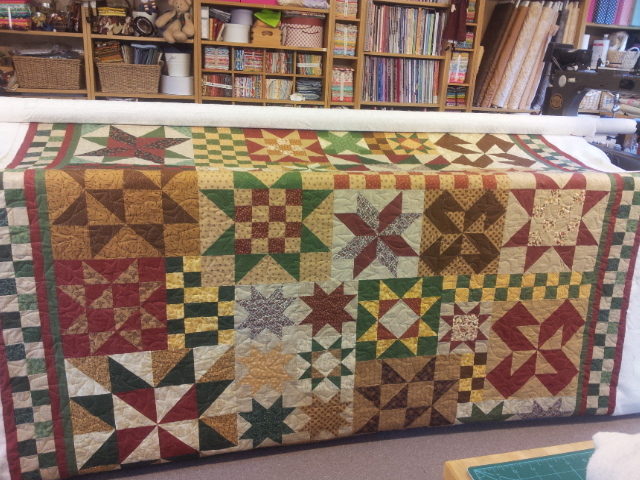 The next 2 quilts belong to Sue. 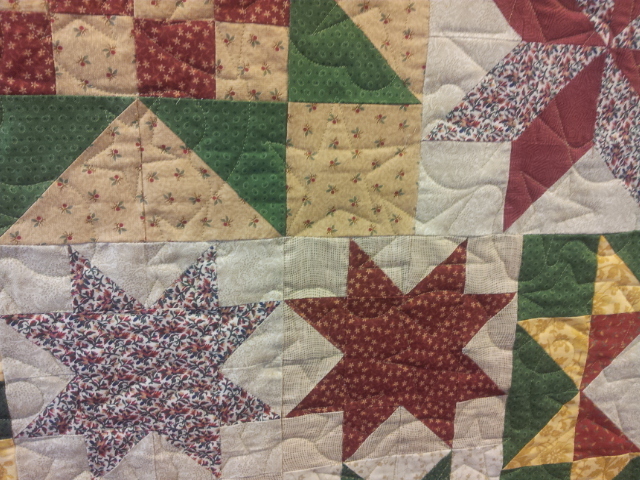 The first was a star sampler quilt. 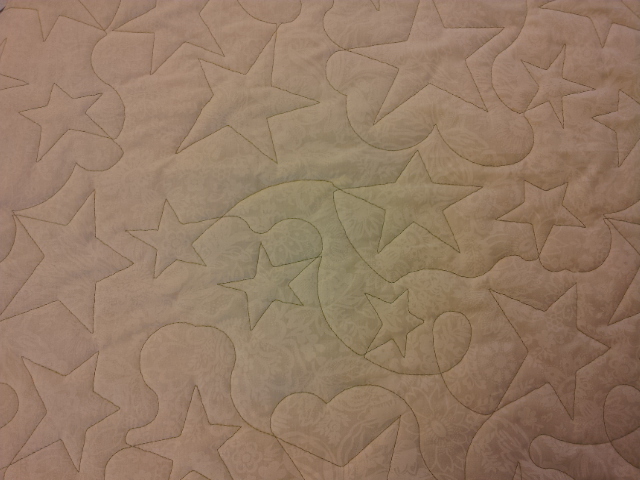 I quilted this with an allover stars and loops pattern. 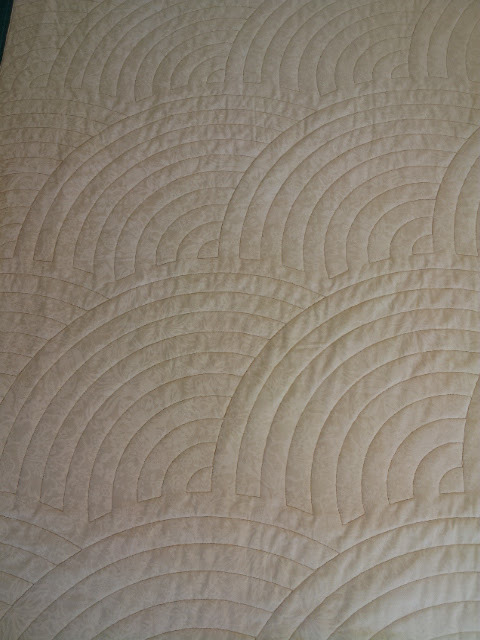 We decided that such a traditional quilt design called for a traditional quilting pattern. We chose a Baptist fan. 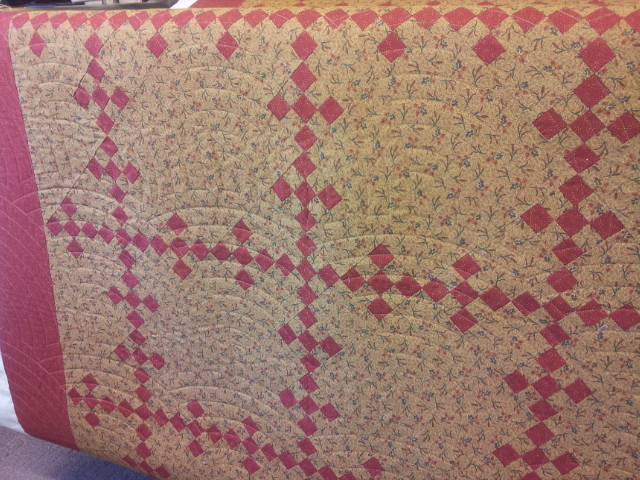 I love this quilt - wish it was mine! Not sure what the next quilt is to go on the machine tomorrow. One of the joys of this job is that each day is a surprise! Love the Irish Chain too. Simple but elegant. 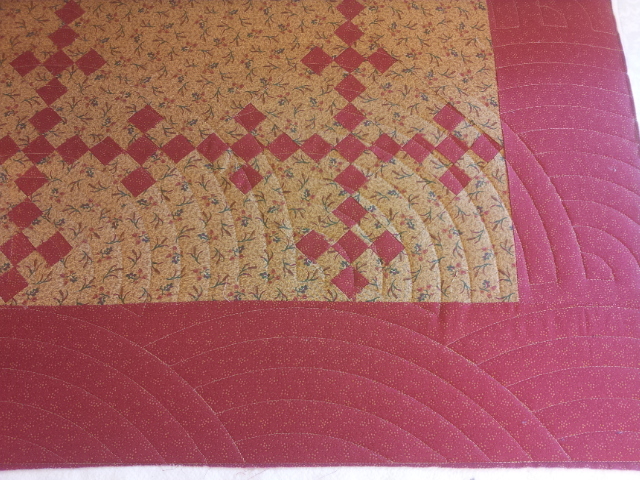 Lovely quilting on all 3 quilts. I'll be in touch soon as I've got a few quilts for you to work your magic on. Love Baptist Fan! Duh! 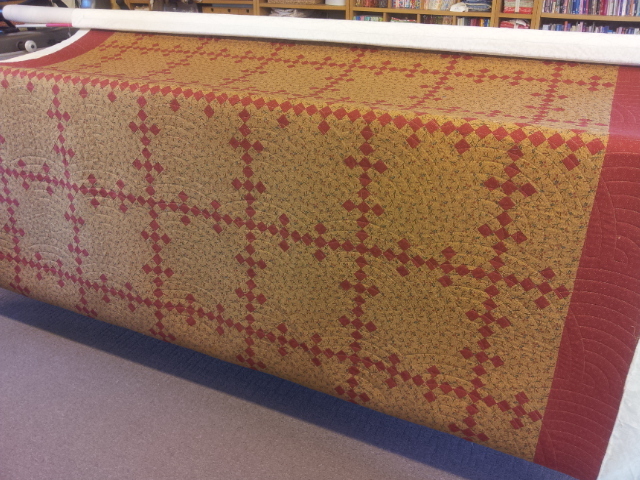 I didn't realise you can do it on a Longarm - silly me! Looks great!